A professionally designed and flexible eCommerce WordPress theme with friendly options to create eCommerce websites effortlessly. 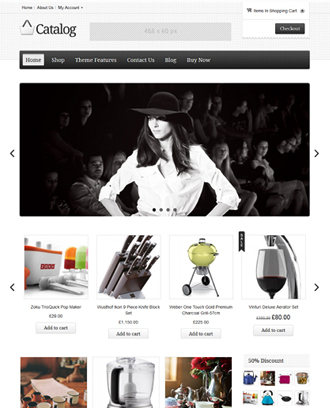 Elegant, classy and fully functional WordPress eCommerce site with simplicity. Here are the eCommerce thems for your WordPress website to sell your products or services. 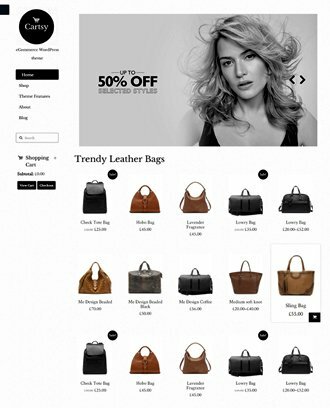 These are simple and straightforward eCommerce website templates for your online stores. All these eCommerce themes are flexible, easy to use. They are designed for people/merchants who are not very web development/design savvy, to create their website on their own. Our range includes some of the best WordPress eCommerce themes theme that will allow you to sell both wholesale and retail products. All of these WordPress themes are easy to use and WooCommerce compatible for that professional looking online store. Selling online has never been easier than with Templatic. 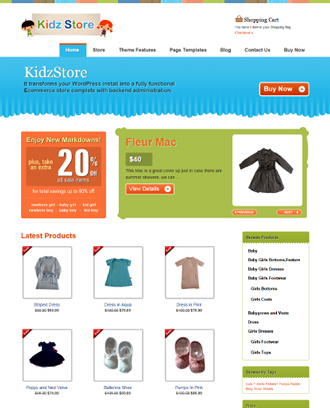 Starting your online shop with our shopping cart, store builder themes can be done in minutes. 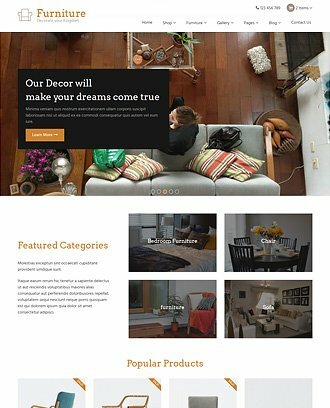 You simply install the theme, add products and your online storefront is ready. Whether you want to sell clothes, furniture, electronic goods, fashion items or any products, our eCommerce themes can handle it. Changing categories and adding your own is very easily done from the admin dashboard. Creating that amazing online store with WordPress is literally a few minutes away with Templatic eCommerce themes. With these WordPress eCommerce themes, you can start selling online in just minutes. The eCommerce WordPress themes are designed to let you create professional looking and fully functional online shops, without writing a line of code. 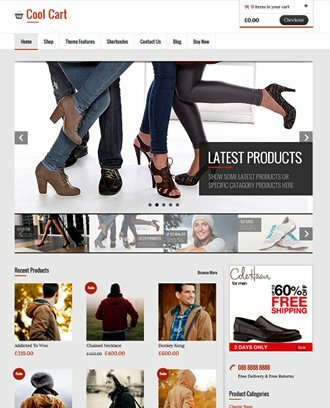 These professional eCommerce website templates come with easy install feature. So you can install the eCommerce template, and start with your WooCommerce cart in just minutes. 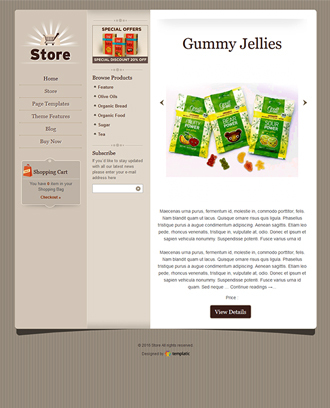 Therefore, this Online Shop Template lets you get started in just minutes. Once installed, you can import the sample data with a single click. 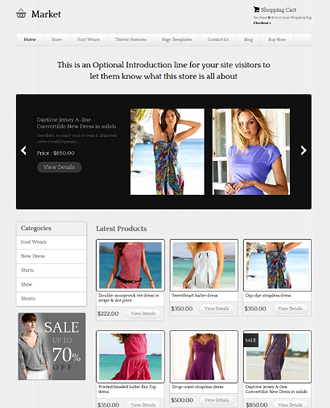 With the sample data,youru online store will look exactly like the eCommerce theme demo. This makes creating your online stores, shops, e-commerce websites easier. All you need to do now is start selling online. You can create all the categories and add products to them. These eCommerce templates for your Online Store come with inbuilt shop management features that you can use to create a fully functional eshop. An eCommerce website is much more complicated than a simple business website. Along with product sale, you need to work on product management. 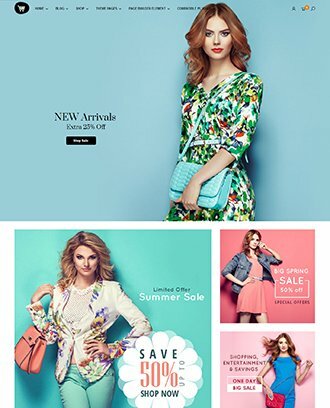 Since these multipurpose themes for online shopping are powered by WooCommerce, you have some intuitive options for your online store’s management. WooCommerce allows you to create multiple categories and subcategories for your products. Besides, it lets you sell simple products or products with variations in form of color, size, etc. You can even sell grouped products on your WooCommerce based e-commerce websites. You can add unlimited products of different types on your eCommerce website. To find all the products of the similar kind, you can use the filter options available at the backend product management section. Easily filter the products based on the categories. You can edit the products on your website using the quick edit options. These options lets you change a few basic things about your products. For example: If you want to optimize the name of your product, you can use the quick edit options to change the name. As an admin, you have the full control to manage all the products on your website. Easily change, edit, update or delete the existing products or add a new one. You can export the products and import it any time, easily. By adding WooCommerce extensions, you can even sell memberships, subscriptions, and appointments through your eCommerce website. Therefore, possibilities are unlimited when using these WooCommerce based eCommerce themes. It is fun creating eCommerce sites using these themes because everything is so easy to manage. You can refer the WooCommerce documentation to see how you can manage the products on your eCommerce websites. These multipurpose eCommerce WordPress themes are flexible and easy to use. Using these eShop themes, you can sell almost anything. 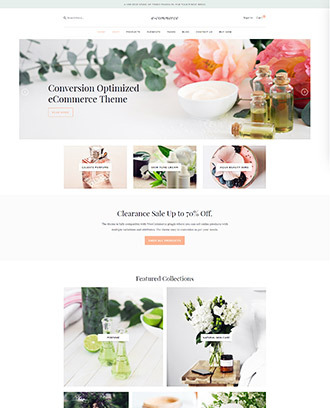 All of the themes listed in the eCommerce themes collection here are WooCommerce based. And WooCommerce is a complete WordPress solution for selling physical as well as digital products. 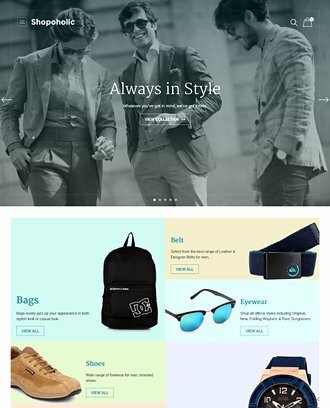 So using these beautiful WordPress themes for eCommerce website you can sell apparels, medicines, groceries, auto parts, mobile and accessories, etc. On the other hand, you can also use the same themes for selling products like ebooks, music, stock photography, etc. You can easily build a professional eCommerce store with multiple product categories and a large inventory. If you want to create a store website that sells shippable as well as digital products, you can do that too. WooCommerce is a complete eCommerce solution for WordPress. It comes with all the options that your eCommerce website needs to sell online. Because there is much more to selling online than just letting people choose their product and pay for it. WooCommerce is easy to use and comes with intuitive options to manage complex eCommerce functions like the tax, shipping, returns, stock management, transactions, reports, etc. The intensive documentation from WooCommerce covers all the required steps on how to set up tax for your products. For facilitating shipping classes, the WooCommerce lets you create different shipping zones with a different set of rules. You can also create different shipping classes to classify products based on the type of shipping applicable to them. With WooCommerce you can allow the visitors to pay online or to pay cash on delivery. The performance of your eCommerce website can be affected by the way you showcase your products. And your product page should look well on any device a user uses. The key to a brilliant eCommerce store is its user experience. Your website should look good and perform well on any device a potential buyer uses. eCommerce WordPress themes for entrepreneurs render beautifully even on mobile devices with different screen sizes and resolutions. They are designed to give the best user experience even on mobile devices. The navigation, the event, and the checkout will work even on mobile devices. Therefore, you won’t lose the customers trying to shop on your website through mobile phones. These WooCommerce WordPress themes lets you create an eCommerce website with the interactive shopping experience. These eCommerce scripts are easy to use, flexible and multipurpose. You can use these WordPress eCommerce templates for any purpose you can imagine. You can use them for fashion stores, medical shops, organic store, etc. Or you can create amazing travel website where you can sell packages. With these WordPress eCommerce themes, you can create a shopping cart website that sells almost anything. Your eCommerce website will be your first steps towards setting up a successful online business. All the above-listed eCommerce themes not just let you create an ecommerce website with a very low budget but also are highly customizable. You can make unlimited changes to your website using the color options. Change the color of the fonts, use different icons, change the backgrounds, as per your requirements. You can even use the live customizer available at the theme’s backend to see real time changes into your website. So you can try different combinations, see the applied changes into your website, and save the one you like the most. Moreover, to change your website’s structure, you can move the widgets. Since, most of the parts of your WooCommerce based themes are widget ready, you can easily restructure your eCommerce website. The homepage of your eStore website template is fully widgetized. So to change where a content block appear, you can easily change the widget in the relevant content area. Besides, these eCommerce WordPress themes comes with some ready to use page templates. These help you when you want to create new pages for your online store. All these features make you eCommerce website very flexible. You can make you online store look the way you want without touching a line of code. Your dedicated ecommerce store need visibility to be able to survive the competition on the internet. Afterall, what is the use of a great website with attractive products if no one is coming to your site and buying them. To create eCommerce websites that perform well, you need an SEO friendly eCommerce platform. WordPress in itself is SEO friendly. And all these multipurpose WooCommerce themes here are SEO friendly too. Our programmers adhere to strict SEO standards while crafting the theme. So we have already taken the very first step towards the SEO friendliness of your eCommerce website. However, SEO is impacted by many more factors than SEO optimized eCommerce theme. To make individual page stronger, you need to be careful when you create pages or products on your website. Therefore, our WooCommerce themes support the best of SEO plugins like Yoast SEO and All-In-One SEO pack. So you can optimize the pages and content you add on your website. 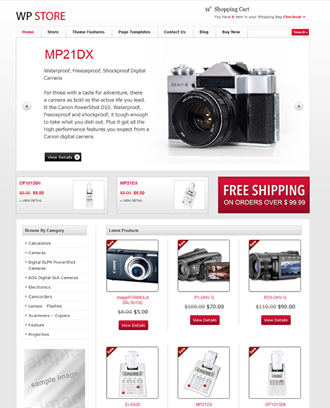 The product pages of these eCommerce themes lets you upload images and add all the product information you want. Therefore, you can make your product pages more intuitive and SEO optimized. You can also use the inbuilt blog sections as a part of content marketing campaign. Each and every eCommerce theme in this list comes with ready to use blog sections. And blogs are a wonderful way to connect with your audience and make your website more interactive. These WordPress eCommerce theme come with awesome design and features. You can create a well optimized website with image upload and add to cart features. WooCommerce also allows you to upload multiple products is by importing CSV file with all necessary product details. You can create an eCommerce website with multiple currencies. As mentioned earlier, you can sell digital as well as downloadable products on your online store. Besides you can use the different WooCommerce extensions to add more features to your website. There are a wide range of WooCommerce addons that you can integrate into your website. These theme based on WooCommerce also support discount coupons? These SEO friendly ecommerce themes, will get your job of building an eCommerce website easier. Some of the themes have eCommerce features like product/slider options, sorting and filter options, etc. The themes come with custom widgets that you can use to show the latest or most popular products. Besides, there can be other utility based eCommerce widgets. They also include the social media and newsletter plugins and widgets. eCommerce websites lets you make money by selling products online. 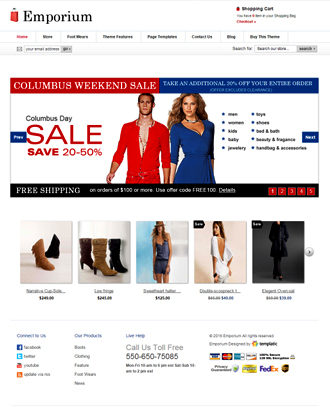 You can even earn by displaying advertisement banners on your eCommerce websites. 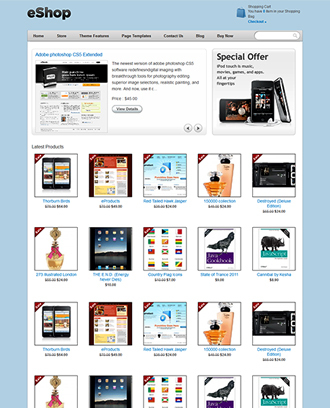 All these eCommerce themes come with ready to use advertisement widgets. Using these widgets, you can place advertisements almost anywhere on your website. These can be simple advertisement banners or Google Advertisement. These Google AdSense ready eCommerce themes ensure that ad banners on your website does not disrupt the appearance of your site. The ad banners will blend seamlessly into the theme design and you can earn passive income by displaying adverts on your website. As these premium eCommerce WordPress theme are also designed for the non-techies besides the programmers, we provide a complete documentation. The theme guide consists of all the clear instructions on how to setup your website using our eCommerce ready WordPress themes. It consists of all the steps beginning with the theme installation. It covers customizations, feature explaination, and frequently asked questions. All these instructions make website building more easier. With the help of theme guide, anyone can create their website with these creative eCommerce WordPress themes, in minutes, on their own. However, if the instructions available in the theme guide aren’t enough, you can contact our theme support. You can send an email at [email protected] or get in touch with us using this contact form. Our support team is trained to help you with using your eStore theme. One of our customer support executives will get in touch with you and respond back with a relevant answer as soon as possible. With the technical support and theme guide, any one can start creating an conversion optimized WordPress eCommerce store with confidence. No need to rely on programmers and designers to get your website created. 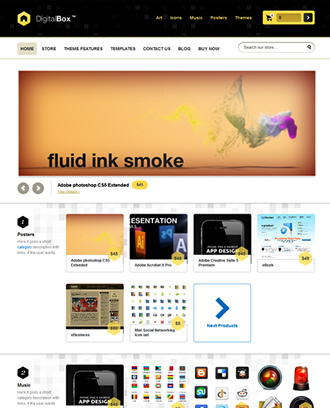 You get one year of free updates when you buy any of our WordPress eCommerce themes. All our themes are regularly updated based on the latest eCommerce requirement and compatibilities. You can update your eCommerce website with the latest version with just a single click, through your website’s dashboard. Even after one year, you can continue using your WordPress Ecommerce Themes and Templates without updates and it will work just fine. For a successful online store, you need a powerful eCommerce platform to handle all your eCommerce transactions. And as of today, there are abundant choices when it comes to an eCommerce platform. There are eCommerce softwares such as Shopify, BigCommerce, Magento, Gumroad (to sell digital goods), whereas you can use the independent CMS such as WordPress. Even though WordPress was originally developed for blogging, it can be great for WooCommerce too. The following are the few best advantages of using WordPress for your online store. Ensuring security of your website using WordPress is simple. You can implement the SSL secure payments and use a very secure payment gateway. Choose the theme from credible providers. Can I create discount coupons on my eCommerce website? Yes, WooCommerce allows you to create an online shopping website with discount coupons. You can create different discount codes that your users can use to avail discount on your products. How can I sell products with variations? WooCommerce lets you create products with variation. With easy options, you can add a product with variations and set a different price for a different variation. Can I sell appointments and booking through these WooCommerce themes? Yes, you can use the WooCommerce booking plugin for that. How long can I use these WooCommerce themes once purchased? You can use these WooCOmmerce products for as long as you want. The support and updates are limited for a year. But you can still continue using your theme without support and updates after that. Does any of these themes support bulk import? All these eCommerce themes are WooCommerce based. WooCommerce lets you create a CSV for bulk uploading of products. You can easily import this CSV into your eCommerce site. Can I turn my website to catalog mode for my online store? Yes you can switch to the catalog mode whenever you need to.